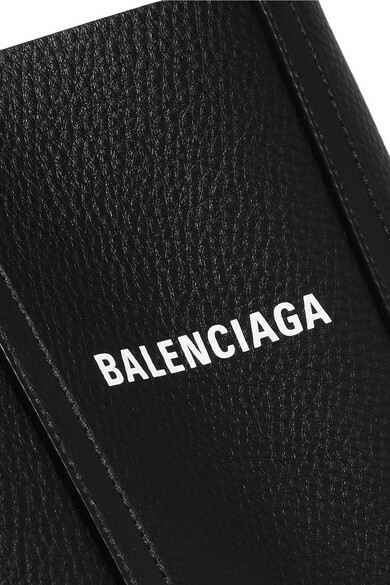 This mini tote is a new addition to Balenciaga's 'Everyday' collection - like its counterparts, it's been made in Italy from leather and has the brand logo in block capitals across the front. 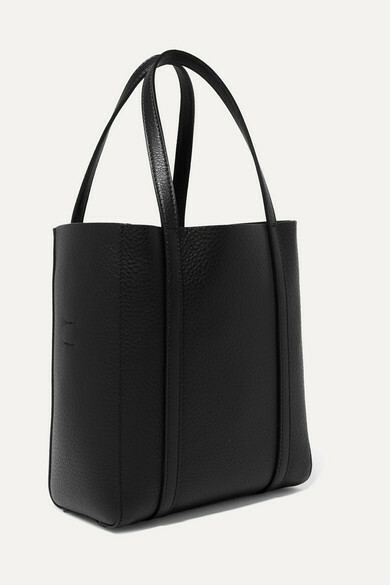 This structured monochrome style can be worn with everything from midi skirts to stonewashed jeans. 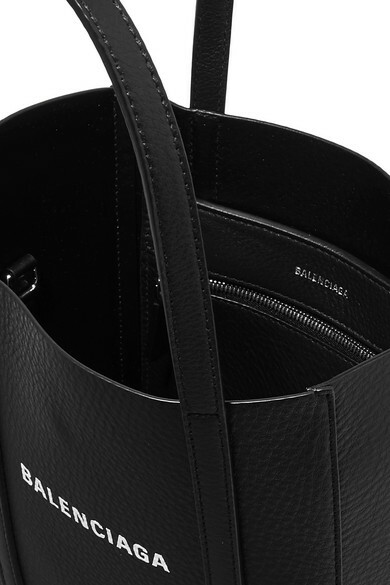 It also has a detachable cross-body strap so you can go hands-free. 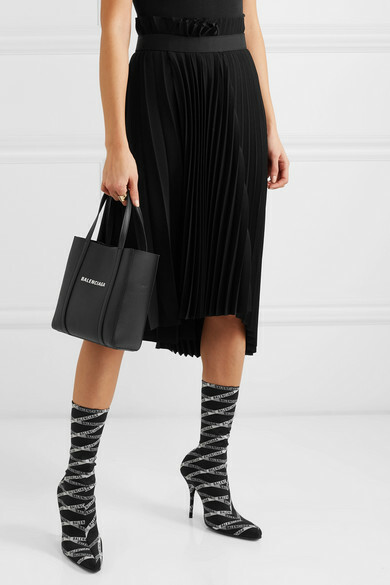 Shown here with: Balenciaga Skirt, Balenciaga Sock boots, Wolford Bodysuit.